Gillions will work with you and your family to craft a farewell that reflects the life and significance of the person you have lost. At Hope and Sons we recognise and embrace each person for their unique fingerprint of life. Whitestone Funerals have been privileged to support and care for Oamaru and the surrounding districts since the late 1870’s. At John Rhind we are proud of our heritage, having served the families of Christchurch & Canterbury for over 135 years. 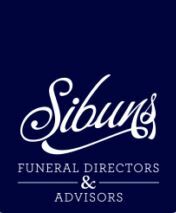 Our qualified and professional team are passionate about providing the highest level of care possible and helping families to arrange a funeral service that is a unique and personal remembrance. We will assist you in creating a funeral service that celebrates the life of your loved one in a thoughtful and thorough manner. Welcome to Forrest Funeral Services. You can count on us every step of the way. Part of your community since 1933 Dignity, Sensitivity and Respect are the hallmarks of H Morris Funeral Services and we are proud to be able to provide funeral services to suit your needs and financial circumstances.